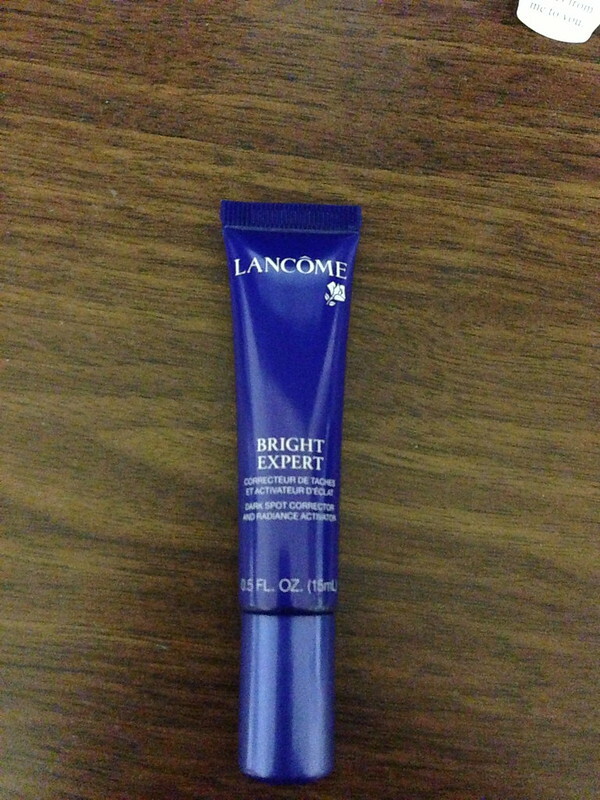 I received this deluxe sample ( estimated price is $37 according to Lancome website) from the BA at my local shoppers after she saw the acne scaring on my chin. I don't normally have an acne problem, I only have one or two tiny pimples before my period. But after my trip to Hokkaido last November it changed. I started having acne in my t zone area mainly on my chin so I was having breakouts and acne scarring at the same time. I was also sick for a month so it made my skin yellowish and dull. So a good brightening product would definitely make me look better. When I received the sample, I had high hopes as there are lots of great reviews on this product. I hoped it would work as this is a lot cheaper than my regular spot treatment. The bright expert retails at $78 for 30ml. I tried this product for four weeks, applying it to my face twice a day, after toner before moisturizing serum and moisturizer and I saw no result at all. There is no difference on my skin. It didn't brighten my skin at all. After applying it did make my skin soft and smooth and I do love the smell. Well it didn't cause any new breakouts but as a skin brightener, it didn't do its job. I don't expect to see results immediately as there is no miracle product on the market, but for four weeks, I should at least see some results. I can't use it as an moisturizer as it's not moisturizing enough so it's another product I don't have a use for. I won't be repurchasing this product.